There seems to be no end to the fear-mongering about the imaginary “War on Christians” by the likes of Mike Huckabee, Franklin Graham, Fox News Channel’s self-appointed keeper of Christianity Bill O’Reilly and so many others. This imaginary “war” has the unintended effect, in my humble opinion, of trivializing and diminishing the very real war being waged on Christians by ISIS. I’ll share a story with you below about three monks and six students, who’ve taken refuge in an ancient Christian monastery, who are perfectly willing to die rather than flee from the real threat of real persecution by the god-awful terrorists of ISIS. But I’ll preface that with some thoughts about the state and future of American Christianity . . . . .
First, there’s not a Christian believer or pastor in the United States of America — God bless her great national soul — who is under anything remotely like the threat of being killed, nor even having a church shut down or destroyed by anybody, least of all by the small minority of American homosexuals among us. Furthermore, it’s a sure bet at the casino nearest you that the overwhelming masses of heterosexual American Christians and their families and friends populating America will continue to consume copious amounts of America’s most dangerous drug (alcohol) and indulge in gluttony (no American Christian dare calls gluttony a sin) at the thousands upon thousands of supposedly “Christian” weddings held every weekend in America. 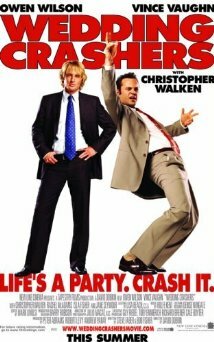 There’s a reason that the movie “Wedding Crashers” (click here for details) was one of the biggest box-office hits of 2005. It resonated with tens of millions of American Christians who could relate to the pagan excesses of so many weddings, and perfectly captured how mindless and hedonistic wedding parties can be. By and large, a wedding reception nowadays is no tea party celebrated with maybe a glass or two of champagne for toasting and social lubrication. The smash hit comedy “Wedding Crashers” was one that so many wedding-goers could relate to. Look, dear reader . . . no priest or pastor is ever forced to preside at the wedding of any couple, be it a straight or gay couple, and won’t be regardless of the much-anticipated Supreme Court ruling on gay marriage. I advised them that they might want to take — you know — more time to get to know each other before they stood before God and exchanged Christian vows in the great covenant, and maybe to take the time to cultivate a church life together. Nobody forces a pastor or priest to marry two people, and nobody is going to force a priest or pastor to preside at the wedding of a gay couple, contrary to the now widespread and growing belief — thanks to the Huckabees and Grahams — that that’s going to ensue. Christianity in all its many and diverse expressions in our many and various faith traditions, and all the many varied wedding and wedding-party traditions, from the solemn and sober to the pagan, will carry on — with not one American Christian or person of the cloth being beheaded or any Christian’s house of worship torn asunder by any gays supposedly out to “kill Christianity,” as asserted by Bill O’Reilly, a man who has a strange obsession with killing as evidenced by the themes and titles of his books. The following story from the Catholic News Agency, about three monks and a half-dozen students taking refuge in an ancient monastery, underscores what real persecution and the threat of it is like. It also underscores what the freedom that comes with devout faith is. Here are three monks and six students living in the shadow of death, but fearing no evil. Nine believers so full of faith and freedom as to be willing to die on holy ground rather than run away. Their story reminded me of one of the best of Christian movies ever made, “Of Gods and Men.” I blogged about this beautiful faith film, based on a true story, a few years ago. Click here to read that past posting. 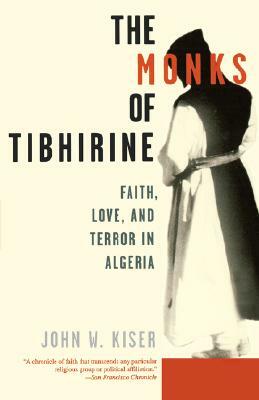 One of the greatest Christian movies ever made was the French-made “Of Gods and Men,” based on the book The Monks of Tibhirine, about Christian monks who made the excruciating decision, after a lot of debate and prayer together, to be killed by terrorist Muslims rather than flee from where God had called them to serve peaceful Muslims. I wish every Christian in America would see the movie and read the book. Here’s the Catholic News Agency report — or click here to read it. Erbil, Iraq, Jun 9, 2015 / 12:03 am (CNA/EWTN News).- Despite the potential threat from the nearby Islamic State, several monks and students in northern Iraq have found refuge in an ancient monastery, certain they are in God’s hands no matter what happens. 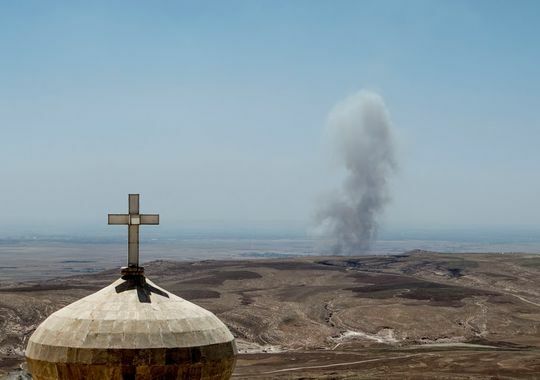 He told CNA June 8 that although these Christians are now being protected by the Kurdish military, their sense of safety is not only due to the military presence. The Iraqi archbishop was the main speaker at a Thursday press briefing in Rome regarding the latest developments in his war-torn country. Although the Islamic State maintains control over much of the region after seizing the area last summer, and many people in nearby villages have fled, three monks and six students have expressed their determination to remain in the monastery. In June 2014, the Islamic State launched an offensive against northern Iraq, overruning the nation’s second-largest city of Mosul. In August, it further extended its reach in the regions surrounding the city. The militants have displaced hundreds of thousands of Christians, Yazidis, and Shia Muslims from their homes while slaughtering or enslaving thousands of others. The monastery, known also as Mar Mattai, was established in 363 by the hermit Saint Matthew, who had fled Rome during the persecutions of the emperor Julian the Apostate. The monastery is one of the oldest Christian monasteries in Iraq. It is currently under the authority of the Syrian Orthodox Church. Sahar Karaikos, a student at the monastery, said he is not afraid despite the very real possibility of the monastery being invaded. “I don’t even want to think or speak about the destruction the Islamic State would cause if they took our monastery,” he told USA Today. Located on the edge of the conflict, Saint Matthew’s Monastery risks becoming the latest Christian landmark to be destroyed by the militant group’s campaign throughout Iraq. Archbishop Warda said the destruction of the Christian heritage is tragic, but he is more concerned with the people’s faith. Many Christians have been killed since the militants began their campaign to establish a caliphate. For those who remain, martyrdom remains a possibility. Archbishop Warda at the June 4 briefing responded to a relevant question: whether he was prepared for martyrdom. I work with the poor and working poor. If you can pay your bills and feed your family without worry and anxiety…you are NOT under persecution! I don’t care WHAT your DELUSIONS tell you! Am I an “angry black woman?” You better believe it! I’m tired of the “show” of religiosity whilst denying the power of the same! Thank you for an important and balanced perspective. It is also sane at a time of growing insanity. Well done.